At this time of year, our clinic gets amazingly busy with people seeking treatment while they have a few days off work. Therefore I am taking the time, before things get too busy, to let you know the days the clinic will be open and closed over the Christmas and New Year period. If you know anyone that can use our help during this time, please pass on the information. We have an out of hours service that will take calls and book appointments while we are closed or unable to pick up the phone. Any voice messages are immediately emailed to us so we can respond to them as soon as is practical. Call the usual phone number for our out of hours answering service 020 8991 5280. You may also book appointments online here. If you are interested in buying gift voucher for friends and family, please see details of our current special offers here. 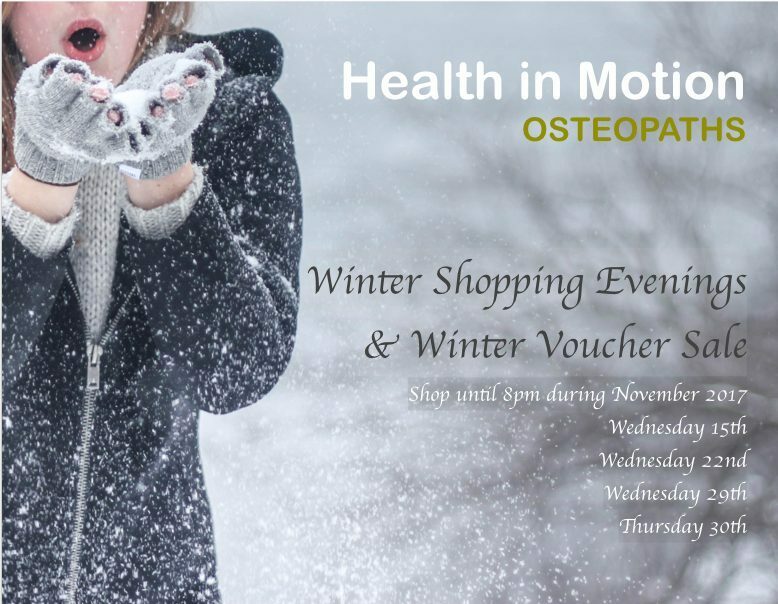 Please continue to support Health in Motion Osteopaths by referring us to people you know can use our help. Patient referral works well for us and we are eternally grateful for those of you who do this. You can engaging with us (if that’s your thing) on social media regarding updates, special offers and events. Sales price vouchers may be redeemed from the 1st January and are valid for a further 12 months. 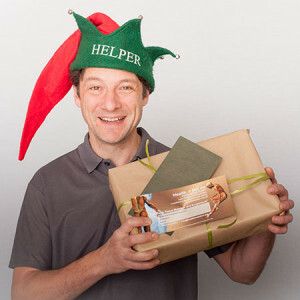 Chose from our selection of gift packaging for your vouchers, free of charge. The sale will be on until 20th December or until all the allocated number of vouchers are sold, which ever comes first. To reserve your order of gift vouchers please use the contact form, call us on 020 8991 5280 or pop into the clinic at any time up to and including 20th December 2018. Deep Tissue Manipulation for those who carry a chronic tension in their muscles. There is no need to decide on the treatment type when you buy. Our legal justification for retaining and using your data is explained. You have increased rights regarding our use of your data. We must explain the steps we have taken to keep your information secure. 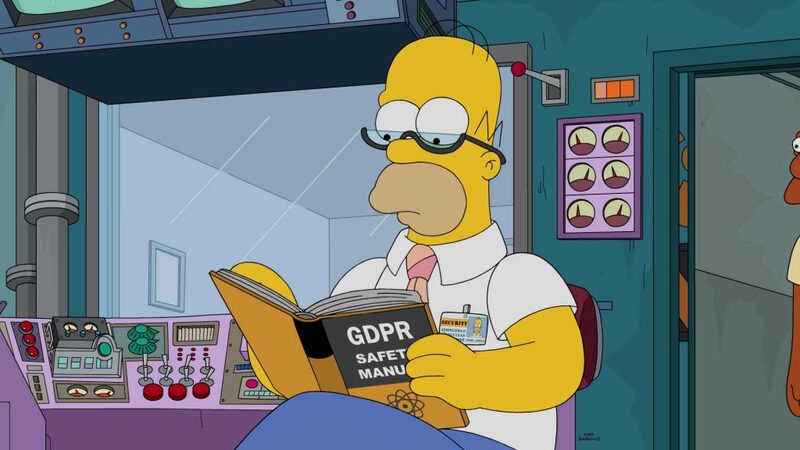 We must inform you and the regulators of any data security breaches immediately. 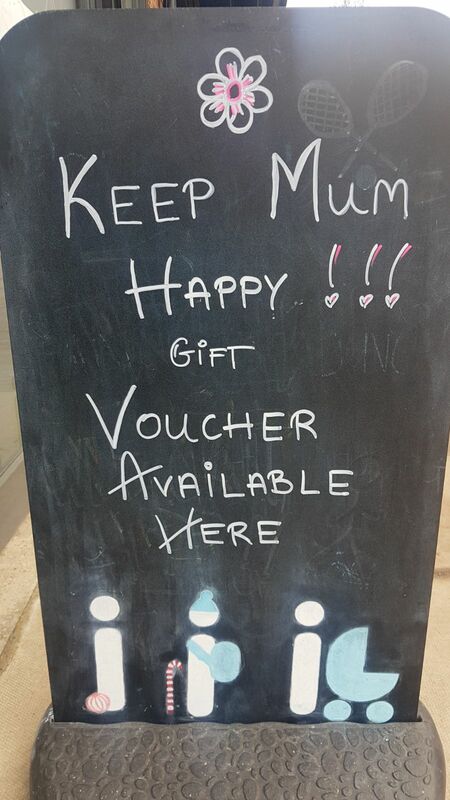 For a Mother’s Day treat, why not give her a gift voucher for treatment at our clinic. She can redeem the voucher at a future date in exchange for one of our treatments. We offer a range of treatments that can be combined to suit your Mum’s needs. This is a physical treatment useful in the treatment of acute or chronic conditions affecting the muscles and joints. Lola, Eds and Anjy will be on hand to provide this treatment. Lola or Anjy would be delighted to provide this treatment for your deserving mother. Cranial Osteopathy is a gentle hands on treatment that seeks to restore the function of the parasympathetic nervous system. The parasympathetic nervous system powers healing and restorative processes in the body. These processes, such as the immune system, may become compromised by long term stress. If your mum needs help preparing for her next marathon, tennis tournament or triathlon, a sports therapy session with Eds, Lola or Anjy will hit the spot. Your Mother may have a new or old injury that is interfering with her progress. She may just need some massage and manipulation to ease her hard working muscles and joints. Your mum may need nothing more that a strong treatment for achy muscles and joints. This is a delicious treatment that Eds or Lola will be happy to provide. This is treatment based on the ancient tradition of Chinese Medicine. Teresa is registered with the British Acupuncture Council. How do I get this wonderful, life affirming Mother’s day gift? Gift presentation envelopes and gift boxes are supplied free of charge. A blank cards is also provided for you to write your heart felt message. Pop in the the shop to buy this wonderful gift for your mother. Why do we love these shoe insoles? Shoe insoles can be a cost effective way to help our patients improve the mechanics of their feet. This is true for those required to be on their feet all day; or take part in high impact sports / activities; or have a painful condition affecting their feet or ankles. Our patients often complain that off shelf or even bespoke insoles can be too bulky to fit in many of their shoes. Also bespoke shoe insoles (orthotics) prescribed and made by a podiatrist are often very expensive. We have therefore sourced a full length shoe insole that is strong enough to give the required support, thin enough to fit in a variety of shoe types (from flat court shoes to boots) and will not make a huge financial dent. The Slimflex green shoe insole sells at our shop for up to £20 and can be used “off the shelf” or customised for more complicated foot corrections. In most cases we have sold them “off the shelf” without further correction. We sometimes assess our patient’s gait and add a wedge to correctly tilt the feet (supination or pronation). In most cases we provide treatment and tailored exercises to minimize the need for further correction to the shoe insole. If you need a shoe insole for sports shoes, we may need to source a firmer version depending on the sport and other factors. Call for advice and a consultation if you believe you are in need of a shoe insole. You may also request a call back. Try using Slimflex Green with a 3.5 degree rear foot wedge. Try using Slimflex Green with a kinetic wedge for a Hallux Limitus presentation. 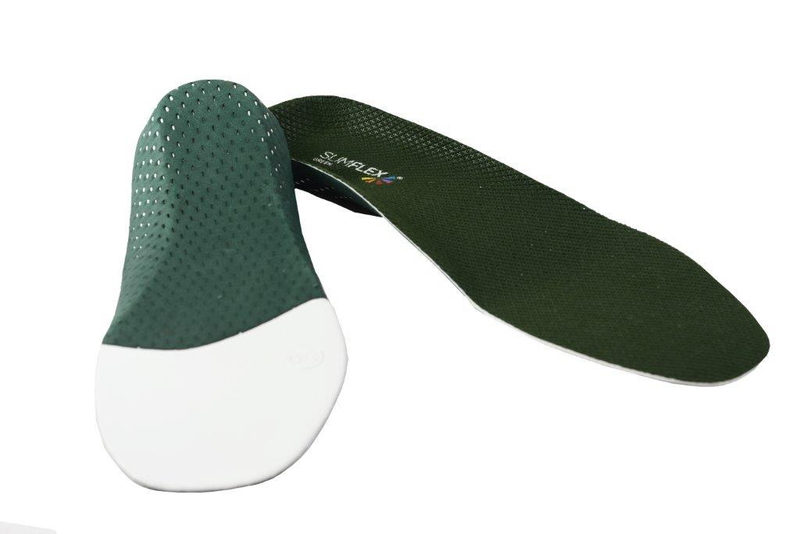 Use a Slimflex Green orthotic with a Podotech 6mm heel component to treat achilles insertional tendonitis. 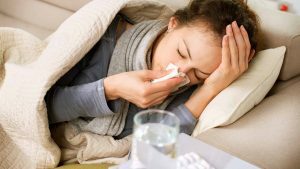 In recent years Flu and bacterial infection – such a Cold – seem to be more disruptive to our nation’s health and are getting increasingly difficult to shake. 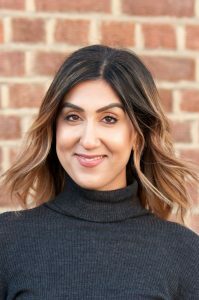 Once the severe stage of these illnesses have been allayed, many sufferers are experiencing debilitating chest pain – extending suffering further. During the “Flu season” our clinic has received a significant increase in the number of patient complaining of chest pain following a flu or cold – mainly during the recovery phase of these infections. Osteopathy has been beneficial in helping these patients. Our patients have reported acute pain at various locations in the chest wall. The chest wall is boarded by the collar bones, down to the start of the abdominal area. To each side are the ribs which extend from the spine at the back of to the breast bone at the front. Due to the location – our patients, in these case, have been caused some distress as pain is easily aggravated by motion of the rib cage, the back and the shoulders. Normal inhalation and exhalation (breathing in and out) – which must continue is the main aggravating factor. Deep breathing, coughing or sneezing, causes increasing discomfort. Getting comfortable at night has also been reported to us as problematic. How does Chest Pain Occur as a result of Flu or Cold? Viruses may cause joint pain through a number of mechanisms that depend on various factors such as your gender, age, genetics, infectious history, and immune response. The joints of the ribcage include the costo-chondral joints with the breast bone at the front of the body, the costo-vertebral joints – where the ribs attach to the spine, and for the purpose of this specific complaint, we would also include the upper back section of the spine. Viruses are able to initiate rheumatic symptoms through different mechanisms. The presence of the virus and its injury to tissue elicits the process of inflammation which can cause swelling, pain, heat and redness over the affected joint. This is referred to as reactive arthritis, which is self limiting and should resolve on its own. Depending on your immune system – this complication will last longer in some individuals compared to others. Reactive arthiris is an autoimmune condition that develops due to an infection. It can affect people of all ages,including children. Research suggests you are more likely to develop this condition if you have a particular gene, HLA-B27. Patients with pre-existing joint injury or dysfunction may notice an increase in symptoms after an infection due to a naturally occurring chemical called cytokines which helps to fight the infection. This causes inflammation in the joints and muscles which results in pain. If there is an area that is already weak due to local dysfunction, this area tends to be more probalmatic when suffering from an infection. The process of coughing or sneezing requires movement from the all components of the chest wall – the joints at the front and back of the ribcage, the spine, the muscles between the individual ribs and even muscles in the neck which assist in the elevation of the ribcage. There is a huge coordination of muscles and joints, triggered by a reflex to eliminate the irritants caused by infection. Given the lightning speed of the cough and sneeze – the huge coordination effort, and the fact that it is happening repeatedly while you are ill – this rapid action can cause repetitive strain to the soft tissues involved – i.e. muscles, ligaments, tendons, joint surfaces. Some patients may have pre-existing joint or tissue dysfunction in the chest wall or spine, which they may or may not be aware of. Therefore they have sub-optimised mechanics for repeated coughing and sneezing and therefore at greater risk of this kind of injury. This is true of anyone who has a desk bound job or any other reason for a weak upper body posture. Pain may also be felt in the upper back, lower back, neck and shoulders as a result of flu or cold. Repeated use of the muscles in and around the ribcage can result in tightened fibres and spasm. As a consequence this causes irritation to the nerves positioned between the ribs (intercostal spaces). This repetitive motion of sneezing and/ or coughing requires the ribcage to work harder than usual. Also, muscles can become stiff during an enforced period of bed rest, thus increasing the risk of injury. – Pain in the upper thoracic (upper-mid back) or lower cervical regions (neck). Central chest pain is commonly referred to as costochondritis. This condition arises due to inflammation of the cartilage in the rib cage and usually affects the cartilage where the upper ribs attach on to the sternum (breastbone). Individuals suffering from this condition may experience mild symptoms which can cause the chest to feel tender to touch or some pain when pressure is applied on the chest cartilage. However, in some cases the symptoms may be severe and cause radiating pain down limbs and debilitating chest pain which can intefere with an individuals daily life. Patients with pain at the front of the chest wall will find working at a desk very painful. Pain that is caused by mechanical dysfunction – as described the latter 3 sections above – can be treated at our clinic. Our techniques will help alleviate the symptoms of muscles spasm or joint pain caused by repetitive strain and / or prolonged bed rest. We will also give you prescription of gentle exercises to help your recovery and advised on nutrition if necessary. Call the clinic for advice or to book an appointment if you are suffering any pain following a bout of the flu or cold. You may also use our contact form and we will respond with a call or email within 48 hours of receipt. Appointments can also be booked online. 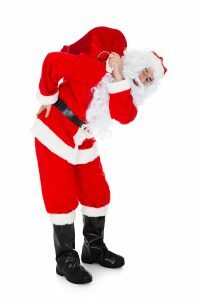 The clinic will be closed on the following days over the Christmas and New Year period. Same day appointments are usually available but it is advised to call ahead to book. To make advance or same day appointments call 02089915280. You may also book online here. 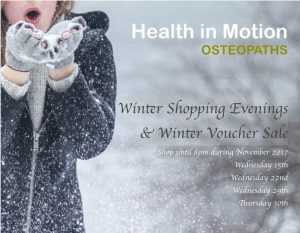 Daniel O’Shaunessy will be returning on Friday 1st December to hold another monthly clinic at Health in Motion Osteopaths. He is helping many people to get their health back on tract. His clients tend to come with objectives such as weight control, chronic illness management, metabolism improvement, and sports performance. We have two more appointment left at 10:40 am and 11:40 am. This first consultation will take 1 hour and costs £98. If you are interested then please call 020 8991 5280 or book online here. Read this to find out more about Daniel. There is no need to decide on the treatment type when you buy. Let us know if the giftee is a new patient you are introducing to the clinic or a returning patient. You may even buy these gift vouchers as a loving gift to yourself. To reserve your order of gift vouchers please use the contact form, call us on 020 8991 5280 or pop into the clinic at any time up to and including 30th December 2017.